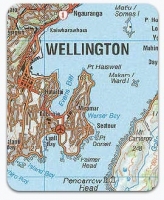 The Topo50 map series is sourced from Land Information New Zealand (LINZ), the agency responsible for producing New Zealands official, authoritative topographical maps. Emergency services, search and rescue organisations, the defence forces and government agencies such as the Department of Conservation (DOC) are using the new map series. Prior to September 2009, the official 1:50,000 map was the NZMS 260 series, which was a mapping system based on the NZMG coordinate system. 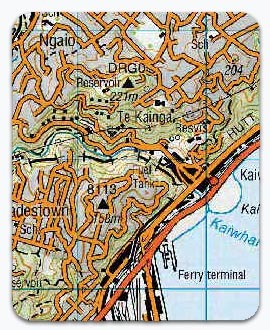 The new Topo50 map series uses the NZTM coordinate system to be more compatible with international mapping systems and modern navigational technologies such as GPS. Quickmap handles these different coordinate systems by warping the image to the correct location on the fly. Old NZMG based rasters such as Air Photos, and new NZTM based rasters all draw at the same speed, making your transition from the old to the new simple and easy. The Quickmap Topo50 Map Layer is included as part of the Aerial Imagery Expansion Pack.